They don't get much sharper than this 2012 Sundancer 540 - freshwater kept in a boathouse, nice! With black hull package and CUMMINS power with ZEUS POD drives - including SKYHOOK and joystick controls - this cool performer fuses peak efficiency with ease of piloting. Sleek fiberglass hardtop with retractable sunroof, giant cockpit with circular lounge seating, HYDRAULIC LIFT transom platform, full wet bar with refrigerator, underwater lights, upgraded stereo system, and Euro-style sun pad aft make her ready for fun on the water! Bristol throughout with rich cherry interior and 'double master' two stateroom layout. SYS Yacht Sales is pleased to assist you in the purchase of this vessel. 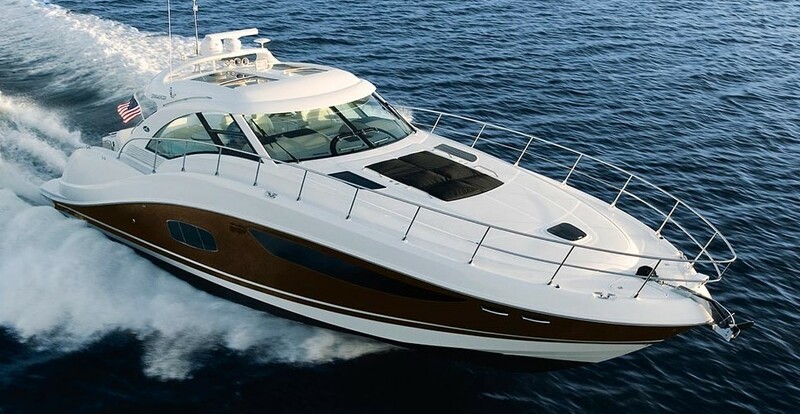 This boat is centrally listed by Boynton Yachts.